Last Wednesday Feustel handed over the Station’s hatch tool key to mark the change of command. During the ceremony, he also gave the ESA astronaut a little piece of zircon from Mount Erebus, in Antarctica, one of Alexander’s favourite places on Earth. And so ended the brief period when there were two geophysicists in space and the same time – 120 days, to be precise. “My personal goal as a Space Station commander is to have all of our experiments done, to keep this fantastic research platform in a good state and to come back home as friends,” said Alexander during a live event to the audience of the International Astronautical Congress held last week in Bremen, Germany. Alexander, alongside Roscosmos Sergei Prokopyev and NASA astronaut Serena Auñón-Chancellor, had to work in the early hours of Thursday to get everything ready for his crewmates’ departure. The departing Soyuz vehicle brought back to Earth a few T-shirts part of SpaceTex, the first clothing physiology experiment to be performed in microgravity. The lack of convection in space affects the way body heat and sweat stick to clothing. 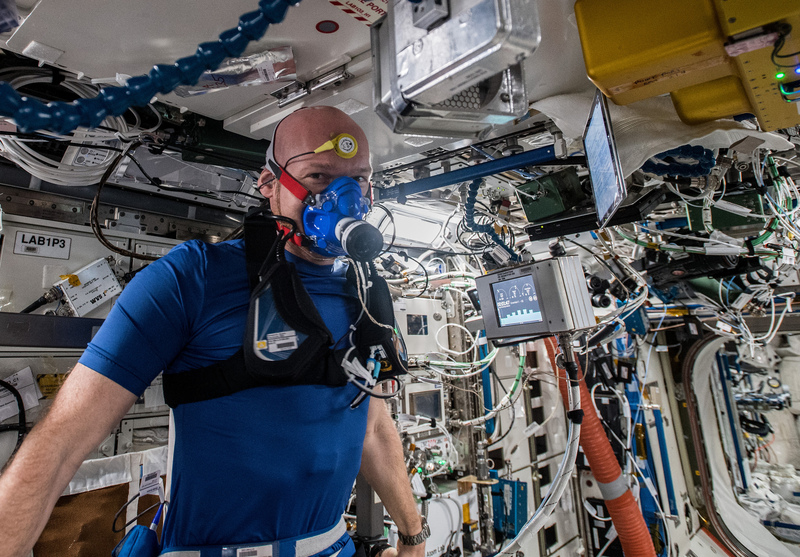 Astronauts often report sweating more during exercise in orbit compared to Earth, with the heat enveloping their bodies like an aura. On Earth, the space-proven garments will inspire innovative textiles to improve heat transfer and sweat management during exercise. Another experiment to make its way down to Earth was the Russian-European Plasma Kristall-4. The experiment resumed operations after an 18-month hiatus simulating atomic interactions in orbit. Now upgraded with a new external unit, the longest-running experiment in the history of human spaceflight had a first round of test and science runs. The first data were downloaded on a hard disk in the Soyuz spacecraft. 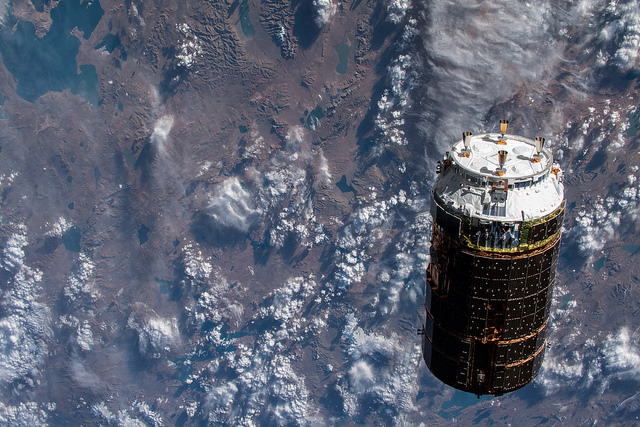 Among the scientific equipment recently delivered to the Station by the Japanese cargo vessel HTV-7 is ESA’s new Advanced Closed Loop System that will recycle carbon dioxide on the Space Station into oxygen. Currently oxygen on the Space Station is extracted from water that has to be brought from Earth, a costly and limiting drawback. 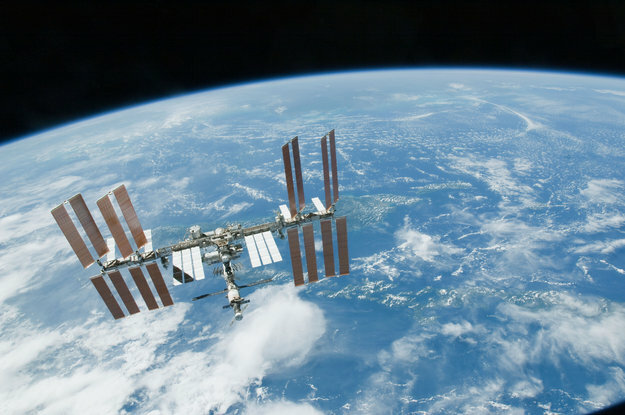 The new system promises to recycle half of the carbon dioxide thereby saving about 400 l of water sent to the Space Station each year. This upgraded life support system will operate for a minimum of one year to demonstrate the robustness of the technology for future exploration missions. It will be able to support a crew of three. The physical installation of this life support system took place on 1 October, and Alexander will be setting up connections this week. Start of checkout operations is foreseen for 6 November. Alexander will carry out the third session of Myotones, an experiment designed to monitor the tone, stiffness and elasticity of his muscles during his Horizons mission. This is done using a non-invasive, roughly smart-phone sized, portable device called a MyotonPRO. Results from Alexander’s back, arms, legs and feet will be compared to measurements taken before and after spaceflight to help identify critical risks and the best countermeasures. On Thursday, Alexander will welcome two new members onboard: NASA astronaut Nick Hague and Roscosmos cosmonaut Alexei Ovchinin. The space population will increase to five humans. Muscle tone? How do you check your muscle tone in- 0- gravity? Also, what exactly are you looking for when you check your muscle tone? Elasticity?